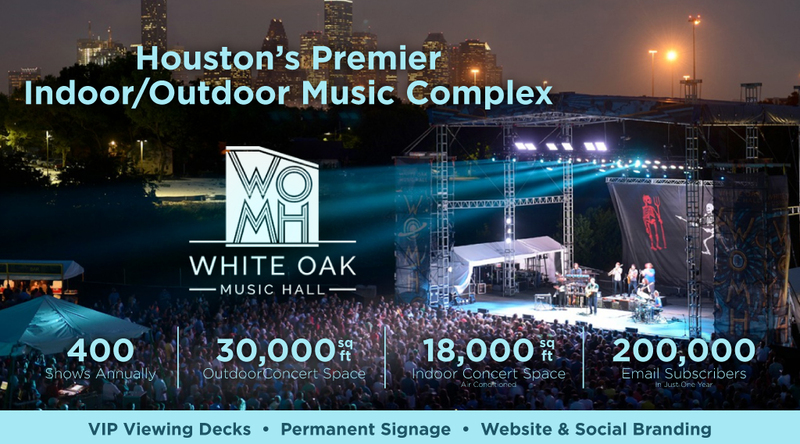 White Oak Music Hall (“WOMH”) is a multi-venue live music complex centrally located two miles north of downtown Houston. WOMH hosts over 400 live music events per year, from a diverse array of musical acts and genres, including rock, country, hip-hop, R&B, and more. For more information the venue, please visit whiteoakmusichall.com.